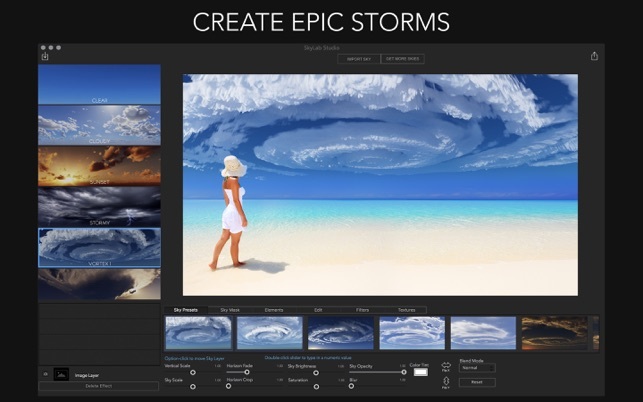 This app is driven by my own love of beautiful skies and fascinating cloud formations. My goal is to capture those moments when you stop in your tracks and stare at a gorgeous sunset, beautiful blue sky, or epic storm. Create these moments right on your Mac with this powerful yet simple editing tool. 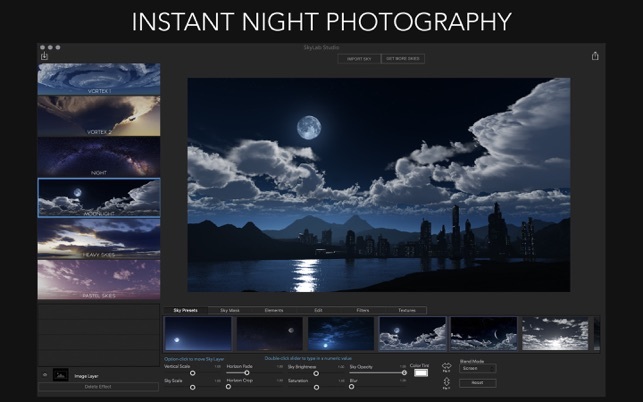 SkyLab Studio comes with a huge collection of curated skies from sunny, cloudy, stormy, and night shots. 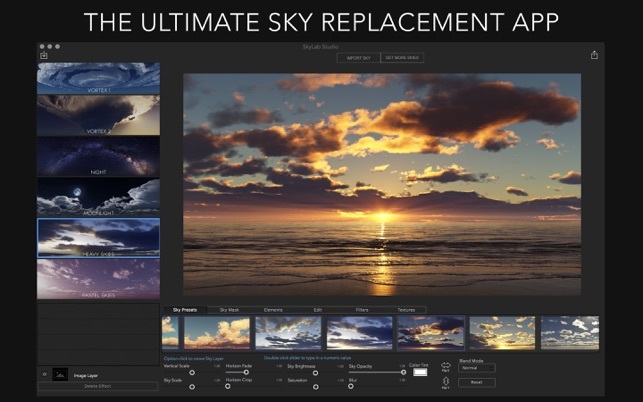 Want to add some birds to your sky? 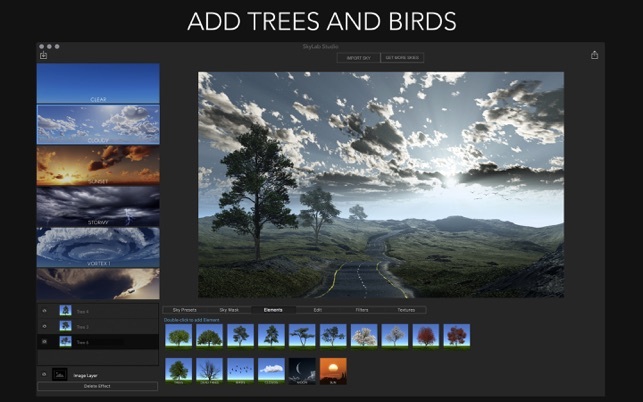 SkyLab also includes Elements to add to your photos, such as birds, trees, and clouds. 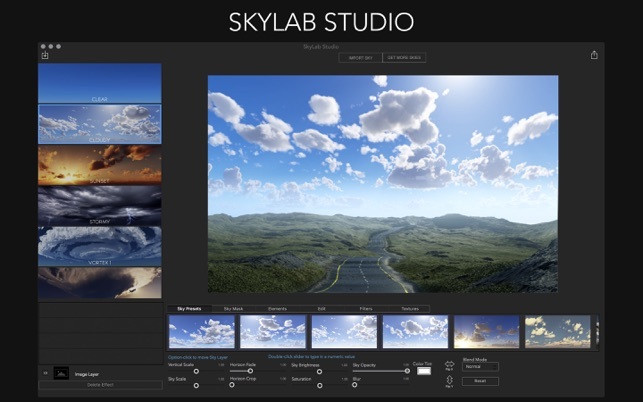 Create beautiful skies with SkyLab.